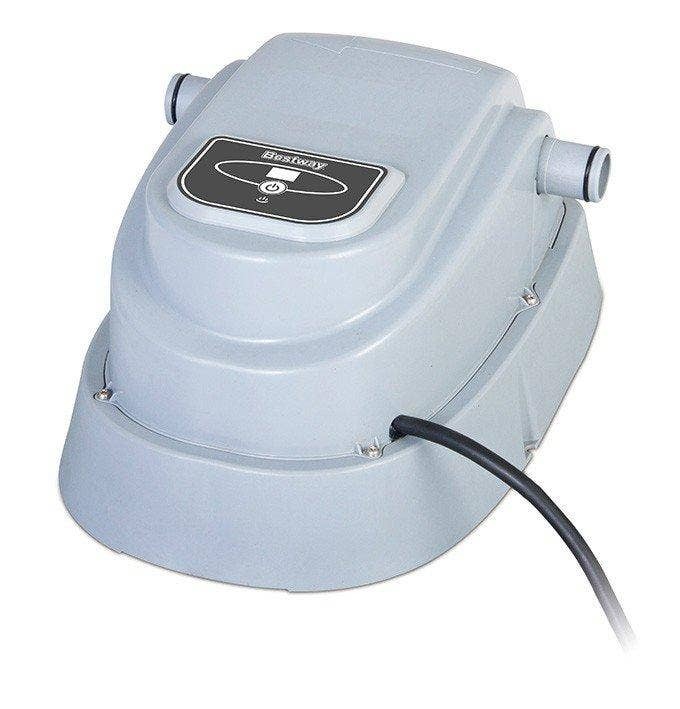 The Elecro Vulcan swimming pool heater is manufactured from top quality components and materials at the Elecro Engineering works in Hertfordshire, England. The Elecro Vulcan heaters are supplied with hose tail adapters for connection to flexible pipework. Construction consists of a flow tube which is fitted with Inlet and Outlet mouldings manufactured from specially formulated polymer alloy material. Universal ABS unions are provided to allow solvent weld connection to the inlet and outlet pipe work. The outlet moulding accommodates a reversible flow switch with a gold tipped reed, and Titanium fulcrum pin. The heater is supported on two swivel feet; these can swivel to permit either wall or floor mounting. The connections supplied with your Elecro heater are a stepped 1¼" BSP & 1½" BSP (British Standard Pipe). If your Intex pool uses 1.5" hoses with threaded nuts you may wish to buy 2 x Adapter B's (part 10722) and a piece of 1.5" hose (part 11010) which are available from John Adams in the UK to make a sealed connection. It is also possible to make the connection to the 1½" (38-mm) part of the hosetail using 2 jubilee clips & silicone sealant at each side of the heater. The heater requires only final connection to a mandatory separate RCD. No pump interlock is required. All heaters come fitted with 1.5'' BSP female threaded adapters for connection to all pipework. The desired pool temperature can be easily set on the Vulcan heater using the panel-mounted thermostat dial in the case of the analogue model, in respect of the digital model by using the touch buttons, resulting in the temperatures being displayed on the LCD screen. Over-temperature protection is provided by the thermal cut out (manual reset). 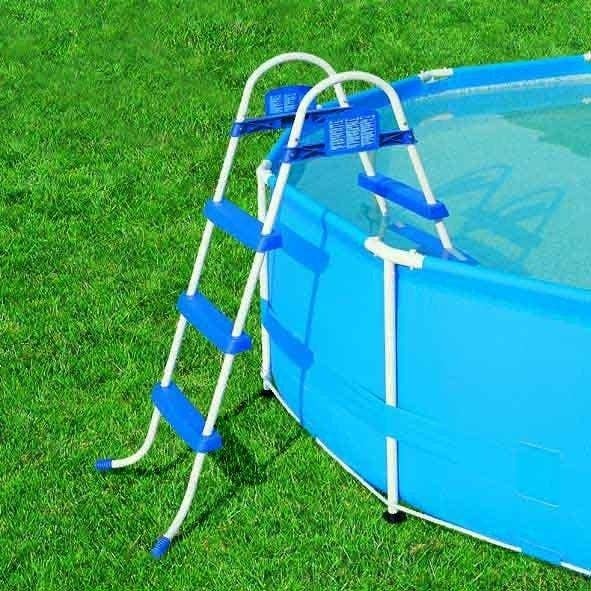 First of all you will need to know the volume of the water in your pool. 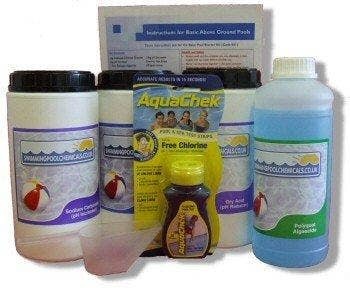 This information will be on our pool description page or in your pool owner’s manual. Once you have this information view the chart below which indicates which pool heater would be necessary for the water capacity of your pool. Electricity can be provided via a single or 3 phase system. The single phase system is much more common. However you can purchase a 3 phase system from your electricity supplier. You will need to check what amperage you have in your home. As you can see from the table below the differing heaters require different amperage. The Vulcan heaters are also available in analogue or digital control. The pool temperature can be set on the heater using a panel-mounted thermostat dial in the case of the analogue model and in respect of the digital model by using the touch buttons, resulting in the temperatures being displayed on the LCD screen. You can select this from the drop down menu at the top of the product description screen. 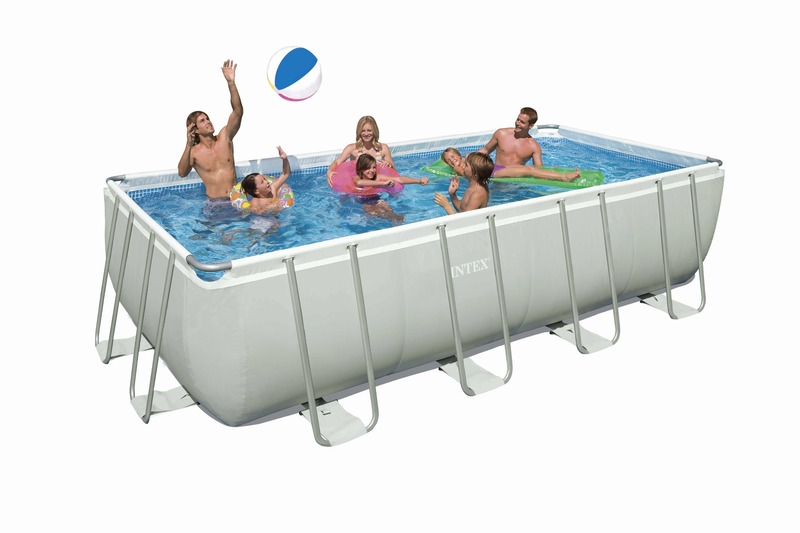 Q - How long does it take to bring a pool up to temperature? 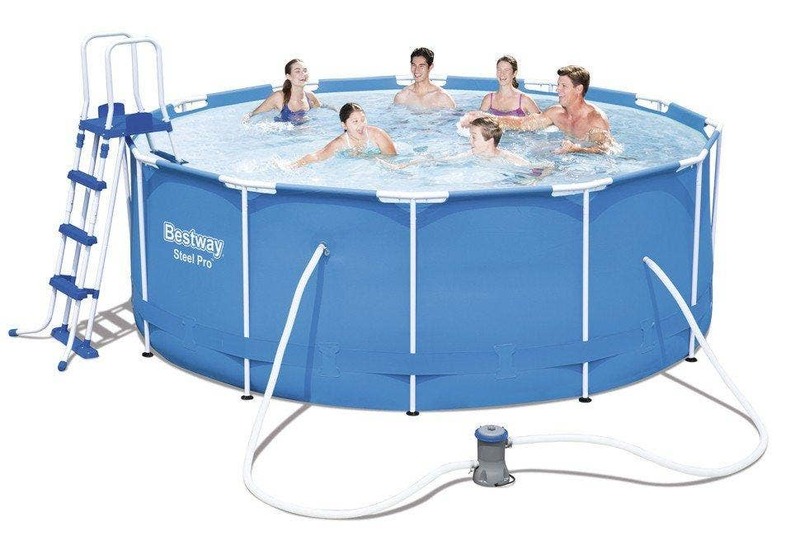 A - Assuming no heat losses, and a heater sized in the ratio 1.5-kW per 1000-gallons of water: it will take 2 days of continuous running to raise the temperature of a pool from tap temperature to swimming temperature. Heat loss will slow the process particularly during periods of cold weather, i.e. the higher the temperature is to be maintained above average ambient air temperature the slower the heating process will become. The main influencing factor being the level of heat retaining insulation incorporated in the pool shell. Q - Can I plug my heater in via a standard 3-pin plug? Q - How much will it cost to heat my pool? A - Assuming the cost of a unit of electricity to be 6 pence it will cost £4.32 to heat 1000-gallons (4500-Litres) of water from tap temperature to a reasonable swimming temperature. This equation makes no allowance for heat loss. The cost of maintaining the water temperature will be dependant on the level of insulation given by the pool structure, a moderately well insulated pool being used only during summer months may only require 3 hours of top up heat on average per day. At a cost of 27 pence per 1000-gallons (when the heater is sized in the ratio 1.5-kW per 1000-gallons). The religious use of a solar floating cover could dispense with the need for any top up heat being required during warm sunny days. A - The connections supplied with your Elecro heater are a stepped 1¼" BSP & 1½" BSP (British Standard Pipe). 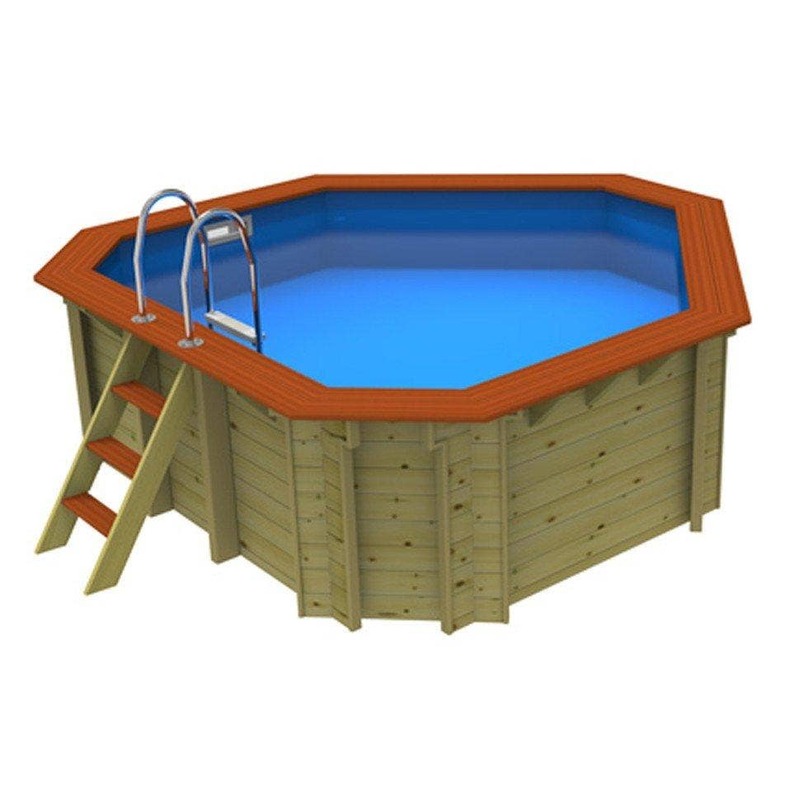 Above ground pool manufacturers can have non-standard pipe work. It is possible to make a correct connection to the heater hosetail using 2 jubilee clips & silicone sealant at each side of the heater. If you are unable to achieve this you will need to source a connection / adapter that goes from 1½" BSP thread to the size you require for your pipe work, you could try plumbing merchants or your local swimming pool shop. Heating Elements: Titanium, high MgO compaction. FREE DELIVERY - This item is despatched to be delivered within 7 working days to mainland UK. Other areas will have a delivery surcharge (dependent on the postcode) added automatically during checkout.